A Zero Waste Week shoutout to the local authorities making a difference! 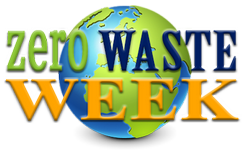 There are over 40 local authorities on the Zero Waste Week mailing list. Each council wants to help their residents reduce landfill waste and increase recycling. They’re helping householders save money too. Many councils share tips on reducing food waste or hold roadshows where residents can find out about washable nappies and composting. And by giving talks and workshops in schools, councils around the UK are helping to normalise recycling; which will have great benefits for future generations. Here’s some of the tweets I picked up during Zero Waste Week – as a thank you for all the councils who are doing great work to hit recycling targets. If you represent a council and know you tweeted something during Zero Waste Week, be sure to let me know and I’ll add it to the page! And if you want any tips and ideas for how to encourage residents to reduce landfill waste by reusing, be sure to download my free pdf. Up in North East Lincolnshire, Andy was out and about with the council Waste and Recycling trailer with an advisor from their Home Energy Team to meet residents. They encouraged residents to pledge something towards Zero Waste week and were there to show residents how to save money and help the environment by using less energy in the home. In Winchester, their City Council held a CD/DVD/Book swap in the staff refreshment area. Departments were encouraged to hold a corporate clear out with surplus folders and stationery being distributed to the new students at the city university. Winchester Guildhall took the opportunity to clear out used furniture and other items, some of which have found new homes already!